1993 was the year it all began, Lord Ahriman and Blackmoon [1993-1996] founded the infernal war machine we now know as Dark Funeral, one of the most intense Black Metal acts ever! In January 1994 the legendary, self-titled and self-financed debut mini album were recorded at Dan Swanös Uni-Sound Studio. It was released upon the un-expecting masses on May 4th the same year. The band quickly established themselves as a band to watch. Since then a lot of things has happened. 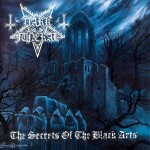 The line-up has changed, several amazing albums has been released and Dark Funeral has toured no less than 45 different countries with acts as Dimmu Borgir, Cannibal Corpse, Deicide, Immortal and many more. The album “Diabolis Interium” was nominated as best metal album at P3 Guld awards and in Oct 2002 the band played Singapore as the first foreign band in ten years (Metallica played there in the early 90s). 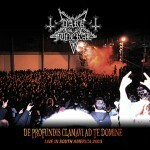 Their highly acclaimed live album “De Profundis Clamavi ad te Domine” was released in Europe by Regain Records and licensed to several other countries. 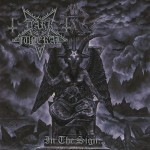 On January 20th 2005, Dark Funeral signed a new record deal with Regain Records and in late May the band entered Dug Out Studios together with producer Daniel Bergstrand (Meshuggah, In Flames, Strapping Young Lad, Behemoth a.s.o.) and c/o producer Örjan Örnkloo (Misery Loves CO) to begin the work and recording of their new, long awaited Satanic Symphony. Roughly delayed the band finally completed their recording session on July 15th, 2005. On Aug 8th, the band returned to Dug Out Studios to lay down the final vocal parts and do the final mixing of the album. 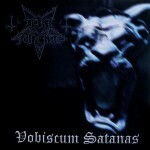 Finally, on August the 18th, 2005 Dark Funerals new Masterpiece “Attera Totus Sanctus” was completed! It was released on October 24th, 2005. Upon the release the album climbed straight up on the Swedish Metal chart as NR #3. And the success continues. After touring the world in support of their latest and highly acclaimed “Attera Totus Sanctus” album , they finally released their first ever DVD (2-disc´s)”Attera Orbis Terrarum-part 1 on October 15th”. The DVD landed impressively as Nr 5 on the Swedish Music DVD chart. 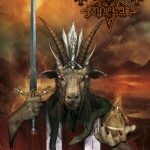 This is the first DVD in a series of two which the band has planned to release from their world touring for Attera Totus Sanctus. 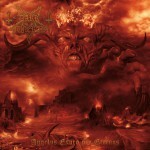 Dark Funeral begin 2008 by announcing a release date for their second DVD set, “Attera Orbis Terrarum – Part 2”. The 2-disc DVD was released on October 20 through Regain Records. 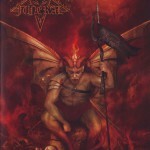 This is the second in a series of two DVDs featuring outstanding, killer material that was recorded during the band’s worldwide touring for “Attera Totus Sanctus.”. While Part 1 focuses on European shows, part two focuses on South American shows, where the band has a fanatical following. 2009: Besides playing some festivals over Europe the band decide to focus on writing material for a new full-length album. In July the band entered the Abyss Studio together with producer Peter Tägtgren to record their long awaited new full-length album, entitled “Angelus Exuro pro Eternus”. 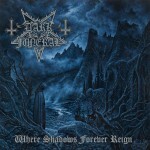 After four years of silence, Dark Funeral returned big and with their most powerful, technical and varied album to date. And while still being true to their roots, they have taken a great step forward in the evolution of their brand of fine Swedish black metal. “Angelus Exuro pro Eternus” is, from the very beginning to the end, a hell ride you simply don’t want to miss! 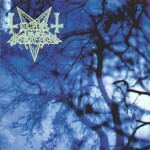 Once again the band prove that they still without doubt are Sweden’s biggest black metal export of all times. The amazing cover artwork was once again created by Morbid (Daniel Valeriani). While the band are gathered in the studio they decide to shoot a video for one of their new tracks “My Funeral”, which was shot in and outside an old and abandoned Mental hospital. It was produced by Standard Film, Umeå, Sweden. After only three days MySpace decide to remove it, while the success on YouTube was a fact. 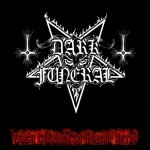 2011: Lord Ahriman continues to wave the flag of Swedish Black Metal with the Dark Funeral crusade. Where many would have, and do fail, Ahriman and Dark Funeral continue to prevail. 2013: Make sure to keep tuned in to one of our websites on regular basis to keep yourself fully updated on news, tourdates among many other things!